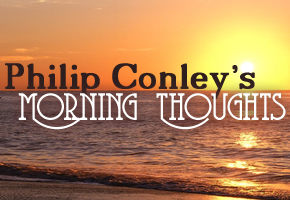 This morning, the concept of sin brings about heated debate from both extremes. In the ever-crumbling morals of the world, less and less of what the Bible declares as sinful is viewed as such. For example, sins of the Bible are simply termed "lifestyles" nowadays. Two generations – or at the most three – would have probably never dreamed that such evils as homosexuality would be as accepted as they are today. Who knows whether another generation or two will see other Biblical evils promoted to the point of forced acceptance. Truly, this extreme mindset shows the marked decline of morality in the world in general. Yet, there is another extreme viewpoint on the subject of sin that perhaps goes unnoticed or is even accepted in Christian circles. It this extreme viewpoint that we hope investigate in this writing. Many times, we hear statements made from the pulpit that sound correct, but a further examination of the thought reveals that it really does not measure up to Biblical teaching. Regrettably, I have been guilty of making such statements in my own preaching that I have later had to correct. While my phraseology was not ill-intentioned, the heart of the thought was still ultimately incorrect. Have you ever heard the statement, "There are no degrees of sin, for sin is sin?" Sometimes, the statement is followed by the thought, "All sins are bad, and none is worse than the other." While it is undoubtedly true that any sin no matter the variety is enough to condemn someone justly to eternal misery, the Bible will not support the thought that all sin is the same. Should that thought be true that all sin is the same. When investigating the thought of degrees of sin, we need to examine several factors. The first factor is the avenue of the sin. Is the sin outwardly or inwardly? Truly, the Lord plainly declares that thoughts of the mind are sinful. Adultery and murder can be engaged in by simple heart and thought processes. (Matthew 5) Yet, consider the nature of inward versus outward sins. Which is worse? Are they the same? One might say that in God's eyes they are, but while God see inward heart and thought processes as sinful, one cannot conclude that God looks at inward sins the same as outward sins. To see this, let us open the next factor of consideration: consequences. When someone commits an outward sin – of whatever type – that sin is known and perceived by others. When someone has wicked thoughts processes, that sin is known and seen by only that person and the Lord. What is consequence of outward sin? If someone murders someone, they incur the punishment of courts of law (ordained by God), the loss of church membership (if they are a member), and even perhaps the loss of their own life. Coupled with that, there are consequences to others. The murderer's family is humiliated and embarrassed, while the victim's family is never the same. Should the man, on the other hand, simply be guilty of hating his brother without a cause, the inward heart processes affect that man, but do not go down the path of civil or church punishment, and certainly not the consequences inflicted on others. Continuing the thought of consequences, we can see that certain sins – when committed outwardly – bring down different levels of consequence. For example the law had different punishments for murder or theft. A murderer answered with his own life, while a thief restored multi-fold to those he stole from. (Numbers 35:31, Exodus 22:1) What do these different types of punishment manifest? They manifest the same thought that Gilbert and Sullivan put to song in the last century – "Let the Punishment Fit the Crime." It is fitting that a man who unlawfully took another's life should give up his own existence. Likewise, it is fitting that a thief make whole and above those he robbed. Sometimes the consequences differ in length of time not just in variety. For example, certain men could not escape long-term punishment for their sins. Moses, the leader of God's people and deliverer out of Egypt, failed on one occasion never to recover from it. (Numbers 20) Was this punishment fitting the crime? Certainly it was since God did it, but consider how a man thinketh. Well, Moses had been faithful for so long, we might be inclined to give him a slap on the wrist with the stern warning not to ever do it again. God plainly told Moses that he failed to sanctify God in the eyes of the people. What God is effectively telling Moses is that "you put yourself on my level in their sight." Moses was guilty of personal exaltation to the point of idolatry (of himself), which sin is great in the sight of the Lord. Therefore, God pronounced a consequence upon him that lasted the rest of his days. To show another example of lifelong punishment, we see God's distaste for love of money in the lesson of Gehazi. (II Kings 5:26-27) Not only did Gehazi's sin affect him for the rest of his life, he incurred punishment on his posterity as well. Since the Scriptures record for us that the love of money is the root of all evil (I Timothy 6:10), we can only surmise what else may have been brewing and simmering down in the thinking of Gehazi. As the root of his problem sprung out in an ugly way, God condemned the root forever by lifelong leprosy. While God does not delight in any sin, we see from the Scriptural examination that certain things go higher in both disgust and condemning consequences than others. Having examined these factors, what is the course for us today? The course today should be – on the one hand – to never fall victim and prey to the world's thinking that attempts to whitewash sin in its various forms. Sin has not changed in the sense that God never changes His mind about it. If Christ condemns it, rest assured it is still condemned in His sight. On the other hand, we should never get the idea that all sins are a "one size fits all" in how they are viewed or what their consequences are. We should attempt to keep ourselves unspotted, but we should never be convinced that all sins are the same and will be treated as such. Suffering for sins of the mind will be much less burdensome than suffering for outward sins against one another. Suffering the loss of possessions or privileges is much less troubling than being on death row for taking another man's life. Sin is black; God hates it. So should we. God deals with different forms of it differently. So should we expect it to be.